Allen Hyundai is located only 8 miles from Irvine, California; and 15 miles from Tustin, right off of Interstate 5 in Laguna Niguel. If you're looking for a Hyundai Veloster, a Hyundai Sante Fe, or maybe a Hyundai Elantra - you need look no farther than our Orange County Hyundai dealership in Laguna Niguel. As your regional Tustin and Mission Viejo Hyundai dealer, our professional staff will match you to the right car or SUV to meet your needs and budget. If you live in Orange County and are looking for a certified used Hyundai at a great price, Allen Hyundai Of Laguna Niguel's selection of used Hyundai cars and SUVs makes us the right place. But we're more than just your Orange County certified pre-owned Hyundai dealership. We carry a wide array of used cars, trucks, SUVs, and vans from many different makes. Our used car inventory has something for everyone. And just because your budget requirements have you looking for a good deal on a used car, you don't have to skimp on quality. 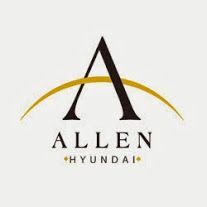 Every Allen Hyundai used car sold receives a comprehensive safety inspection for years of reliable service. Payment Accepted: (types) Visa, Master Card, Credit Card, Cash, Check, Invoice.